"She believes with God in the midst, all things are possible. It's with that belief, she always steps out in faith." Carol “Butterfli Tia” Dunkley is a native of Kingston Jamaica. She migrated to the United State as a young girl with her mother and siblings, where they settled in New York. Butterfli Tia currently resides in Westchester County, NY with her husband, children and her granddaughter. Tia enjoys reading, helping others, gardening, sewing and traveling. Butterfli Tia prides herself on building a sustainable brand by doing what it takes to bring a refreshing change to the fashion and entertainment industry. She has paved the way for her dreams to flourish and is unlocking her purpose. Butterfli Tia is the CEO of multiple businesses including Fachion Bloc LLC, 2-A-T Designs LLC, Westchester Kids Roc Organization, The Butterfli Wings Foundation and the Unlabelled Awards. Fashion is her life and for her, the dreams that were once childhood daydreams has now become her reality. Even though she still has a long and beautiful road ahead, Butterfli Tia is excited to be living her dream and pressing forward with passion and excitement. 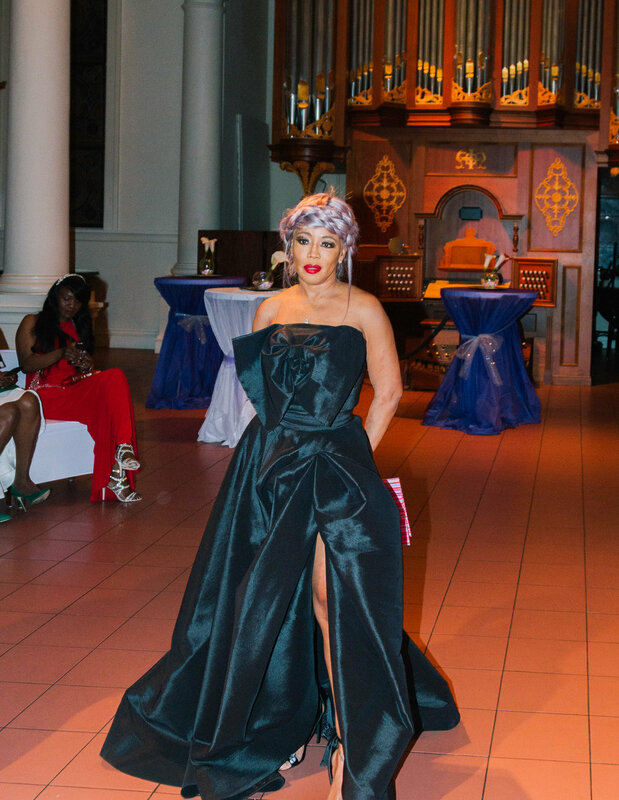 Butterfli Tia’s previous events include the Emerge Fashion Show, Coming Home Events in St Elizabeth, Jamaica, Fashion Fabulosity Charity Fashion Event, Fachion Bloc Pre-Fashion Week Kickoff and The Westchester Kids Roc Show. She as also participated in many other fashion shows as a Designer. A portion of proceeds from the Unlabelled Awards will go to The Butterfli Wings Foundation. It is one of her most passionate platforms. The Buttefli Wings Foundation is a non-profit organization dedicated to helping homeless children reach their full potential by tackling the causes of poverty. Poverty is a huge factor in the lives of children in the United States and the Caribbean, disabling them from attending school. Since 2002, the Butterfli Wings Foundation has worked to help each and every child explore and experience life to their fullest. One of the foundation's most heartwarming accomplishments over the years has been ensuring that as many children as possible on the island of Jamaica receive a gift for the Christmas holiday. Philanthropy work is something Butterfli Tia is extremely proud of and is honored to be in a position where she is able to assist others in need.